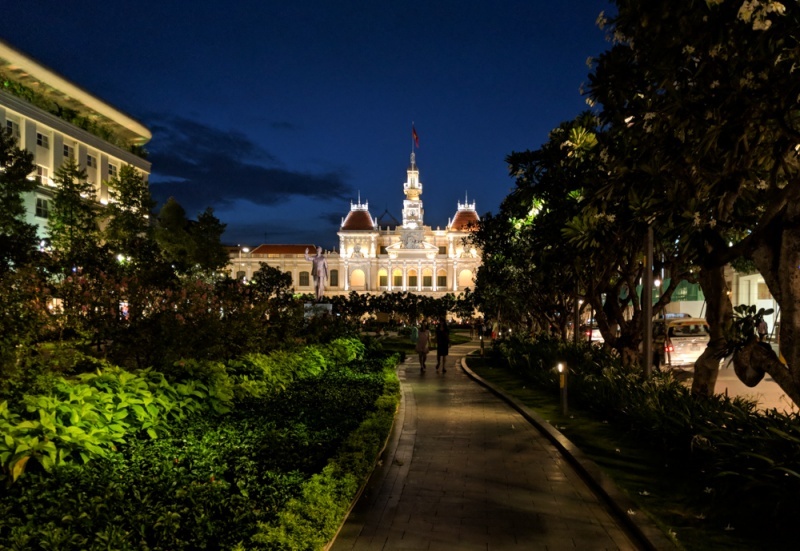 Ho Chi Minh City (also known as Saigon and as HCMC) is too often just a quick stopping point for travelers heading to the north of Vietnam. But Ho Chi Minh City has so much to offer! From delicious food to craft beer to gorgeous architecture – it would be a shame not to spend at least a few days in this big, bustling city. We spent over a month exploring all of the incredible things that this city has to offer and have compiled the best of the bunch into the list below. Enjoy! The currency in Vietnam is the Vietnamese Dong (VND). At the time of writing the conversion rate was 23,084 VND to $1 USD. So if we say that something costs 100,000 VND, that’s just about $4.33 USD. You don’t need to leave a tip in Vietnam unless you frequent very lavish hotels or restaurants. Instead of taking taxis, download Grab! It’s the Uber of SE Asia and you don’t need to negotiate the price before getting in. Saigon is organized into “Districts”, or neighborhoods. The “expat community” is in District 2 and the “backpacker area” is in District 1. We prefer to stay in District 4 because it is so centrally located to great restaurants and shops. Each District has it’s own unique offerings and you can’t really go wrong no matter where you stay! Read all about the things you should know before visiting Vietnam here! 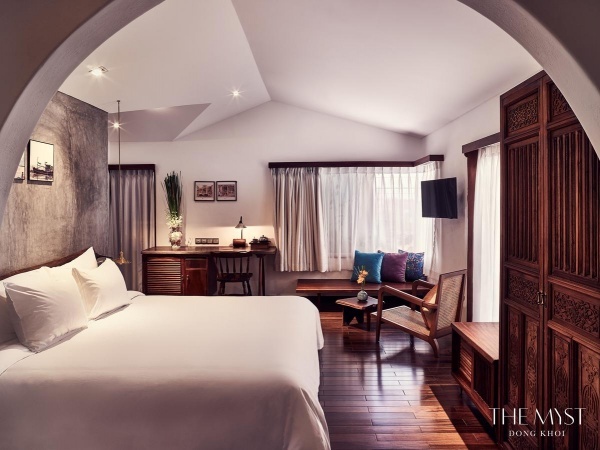 The Myst Dong Khoi is a spectacular hotel, perfect if you are looking for a luxurious getaway. The rooftop pool is the perfect place to escape the hustle and bustle of the city. Rooms are light and bright with classic decor and super comfortable beds. 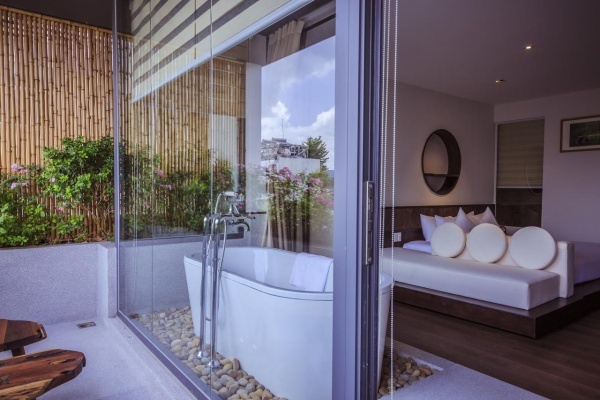 The Alagon Zen Hotel & Spa is a truly lavish hotel in District 1, situated halfway between Ben Thanh market and Reunification Palace. You’ll love enjoying a refreshing cocktail on the rooftop pool with a view as well as working out in the outdoor fitness center. Rooms are modern with every amenity you could wish for! The Hammock Hotel offers something that you don’t get very often in your hotel – your own private hammock! Plus a free minibar full of snacks and beers that is restocked daily during your stay. You’ll love everything about this trendy hotel! 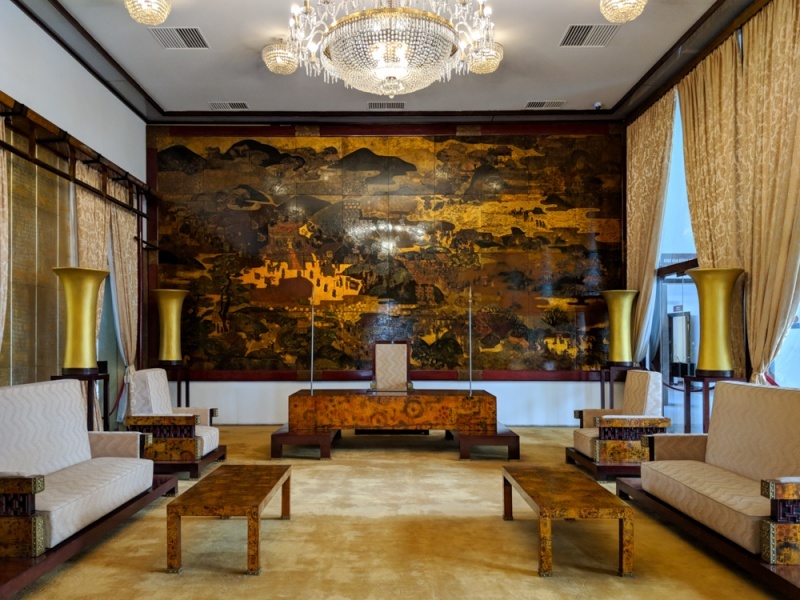 The Reunification Palace (also known as Independence Palace) was originally called Norodom Palace and was the base for Vietnamese General Ngo Dinh Diem until his death in 1963. Diem was incredibly unpopular and the palace was bombed by his own air force in 1962 in an attempt to assassinate him. So he decided to build a new residence there, but one that included a bomb shelter in the basement in case it happened again. His fears were realized when he was murdered by his own troops. The new residence, the Reunification Palace became the home to the President of South Vietnam during the Vietnam War (or American War as it is called here). It is an incredible example of 1960s architecture. It is open-air, with classic 60s-style furniture and decor. Meeting rooms dominate the lower floor, with an impressive bar on the second floor, and a bomb shelter and communication hub in the basement. This was also the site that ended the Vietnam War when a North Vietnamese army tanker crashed through the main gate in 1975. Today the palace is a popular tourist site in Ho Chi Minh City and is also depicted on the 200,000 VND note. The War Remnants Museum is an incredibly moving experience, one that will change the way you think about the casualties of the Vietnam War. As US citizens, most of us have been sheltered from the atrocities that our country inflicted onto Vietnam. And if you’re anything like me, you’ll leave this museum feeling shocked and emotional. The outside area contains a display of various vehicles and weapons that were used during the war. And the ground floor has a display of anti-war posters and memorabilia. As you climb up the stairs, the museum gets more interesting as well as more difficult to see. Photos of the aftereffects of the chemical Agent Orange that was dropped all over Vietnam are incredibly sad and overwhelming. Disabilities that have resulted due to exposure to the chemical have passed down several generations. The Requiem Exhibition of photos of journalists who were killed during the conflict are also heartbreaking. 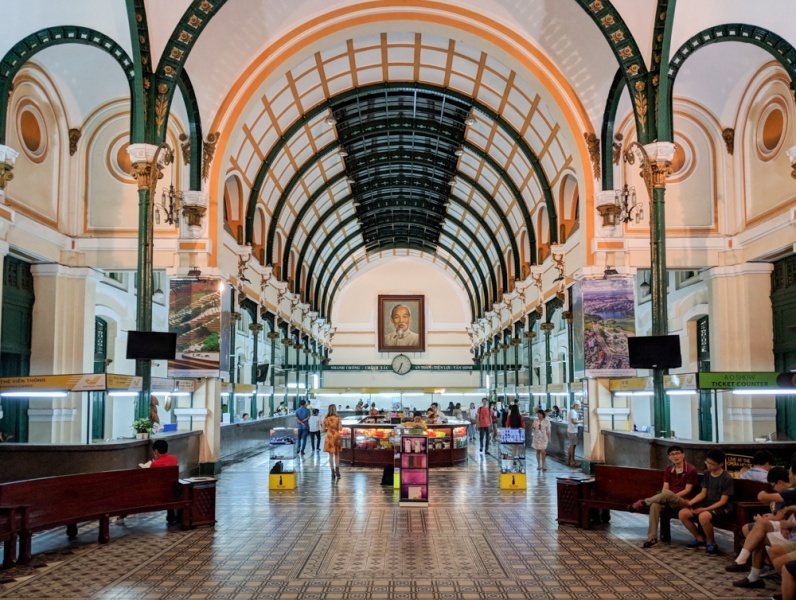 The Ho Chi Minh City Post Office was constructed in the late 1800s with Gothic architectural influences. The building is quite stunning from the outside, and when you enter the front doors you’ll find that it is buzzing with activity. It is still functioning and even has a few souvenir stores inside. It is definitely worth purchasing a postcard and sending it to a loved one back home from this popular attraction. Marvel at the grand arches inside, the beautiful marble floors, and the once functional telephone booths on the left-hand side. This post office is arguably the most impressive in the entire region! The post office is right near the Notre Dame Basilica, the city’s cathedral, which is also worth a visit. The most popular place in Ho Chi Minh City to pick up a few classic Vietnamese souvenirs is the Binh Than Market. Prepare to get hassled by the overzealous ladies at each booth. And be sure to negotiate prices. You should pay 50-75% of their initial offering price. If you are more interested in shopping where the locals shop, there are several large malls around town. But we would recommend that you try out The New Playground (address: 26 Lý Tự Trọng) for all of the latest fashion from hip Vietnamese clothing brands. We also like Saigon Square 1 (address: 81 Nam Kỳ Khởi Nghĩa) for cheap knock-off clothing and accessories. Vietnamese people are quite passionate about their coffee. And you’ll find cute coffee shops on virtually every corner in the city. Classic Vietnamese coffee shops include Cong Caphe (which has, in our humble opinion, the best coconut coffee in the country), Highlands Coffee (think Starbucks, but more local), and Phuc Long Coffee (unfortunate name, good quality coffee). If you want to get some work done, check out The Workshop in District 1. They have coffee-snob-worthy brews, reliable wifi, and plenty of seating for everyone. If you’re looking for an Instagram-worthy coffee shot, The Note Coffee has cute post-it notes stuck to all of the walls and furniture with inspirational messages. And L’Usine is an upscale coffee shop with some delectable American breakfast classics. 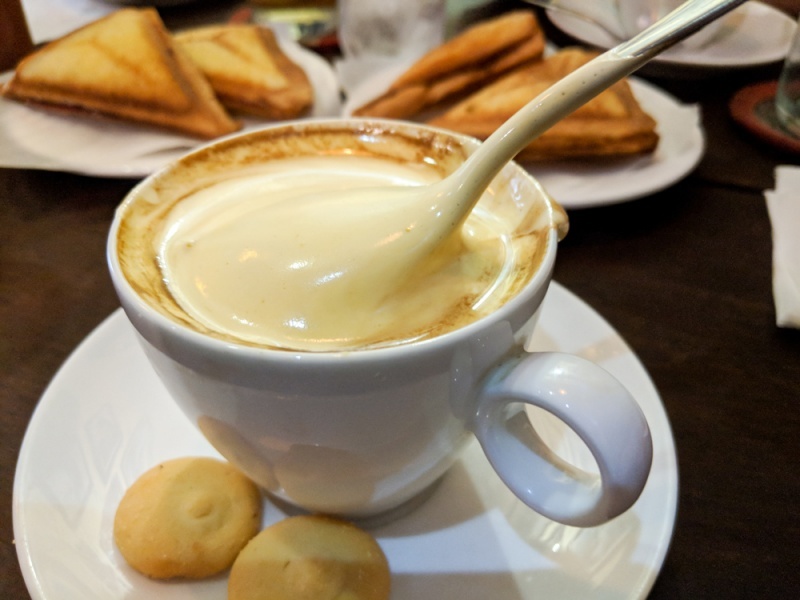 If you’re looking for some of the best Egg Coffee in Vietnam you’ll actually find it in Saigon as opposed to Hanoi. The amazingly cute Goc Ha Nội coffee shop is tucked down a little alleyway off of Bui Vien Street. At 860 feet in height, the Bitexco Financial Tower is the tallest tower in Saigon to date. It provides absolutely spectacular views of the city below and is a must-visit when the skies are clear! The Saigon Skydeck is the observation deck on the 49th floor. 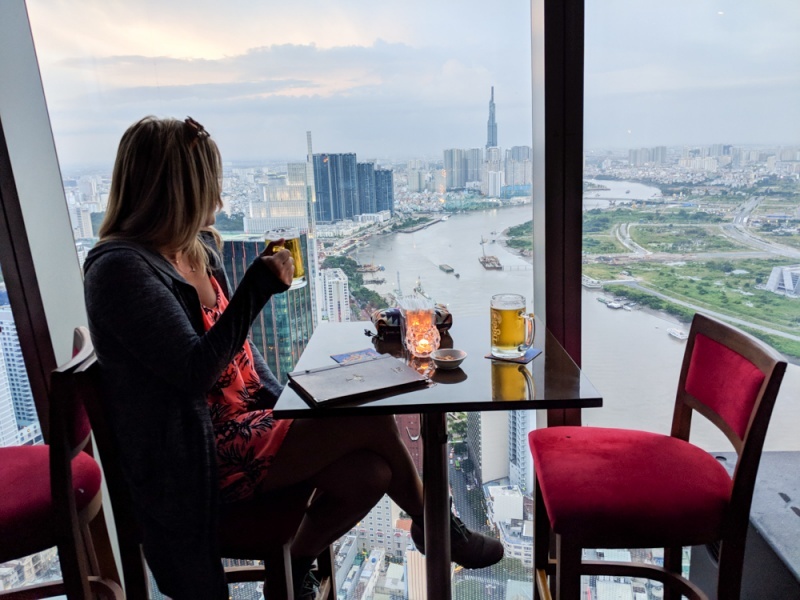 Adults must pay 200,000 VND to catch the view from the observation deck and children 4-12, seniors, and people with disabilities will pay 130,000. Combine with the World of Heineken for 50,000 VND more (includes 2 drinks). If that cost seems steep just for a view, consider checking out the EON Heli Bar on the 52nd floor. It doesn’t give you the 360° views like the sky deck does, but it’s free to enter. Cocktails are rather expensive by Vietnam standards but you’re really only paying for the awesome view. Opening Hours: Daily from 9:30 – 21:30. Last ticket sold 45 minutes prior to closing time. 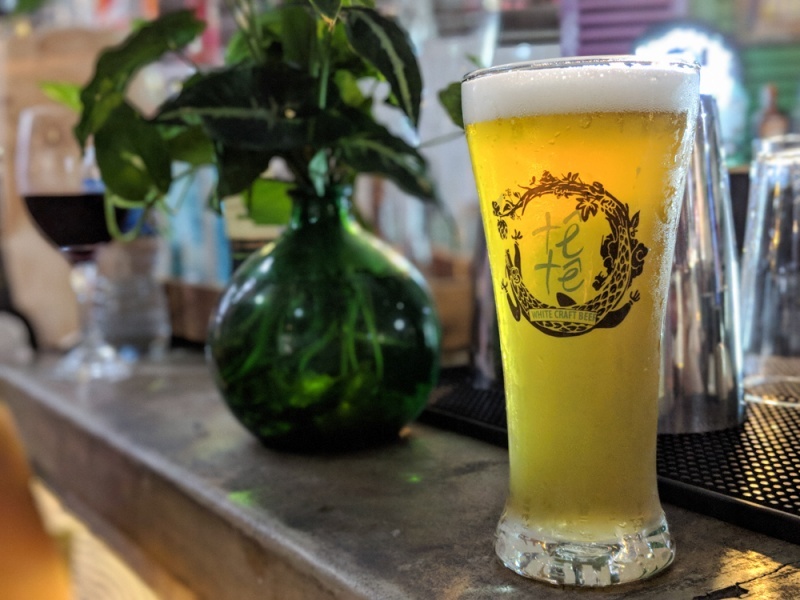 Ho Chi Minh City has an amazing up-and-coming craft beer scene. Brewers from beer-capitals around the world are moving here to try new and interesting flavor combinations. Tasting rooms are trendy and lively, and most also offer yummy snacks to compliment their brews. We loved the craft beer in Saigon so much that we wrote an entire post about it! 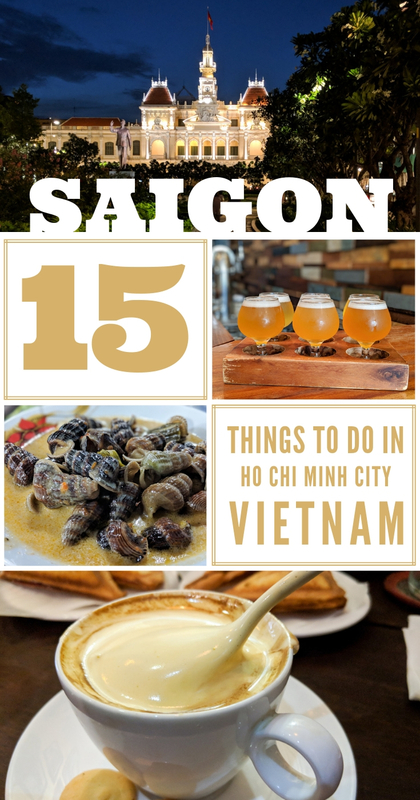 Have you been dreaming about slurping snails out of their shells while sitting on a tiny plastic stool on a busy street in Saigon? Well, you’re in luck because Vinh Khanh street is lined with restaurants serving all types of fresh, tasty seafood. 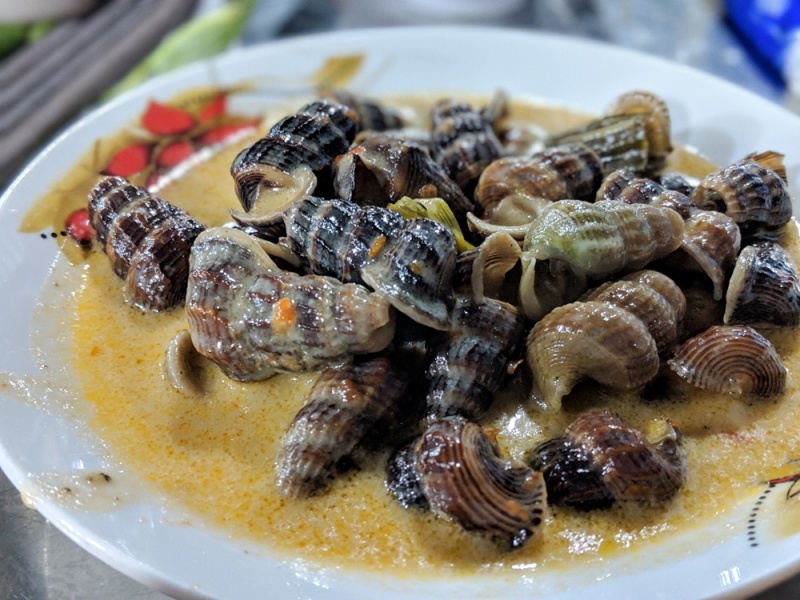 Figuring out how and what to order can be tricky so check out our complete guide to eating snails in Vietnam! Nguyen Hue Street is a wide pedestrian-only area that runs directly in front of the People’s Committee, all the way to the river. It is off-limits to vendors and motorbikes so it is one of the only places in the city where you can walk without being concerned about getting hit or hassled. There is a large, picturesque statue of Ho Chi Minh and a fountain that puts on a show in the evenings. Not only is it a lovely place to have a stroll, the street is also lined with quaint coffee shops, delicious restaurants, and shops. Be sure to stop into Apartment 42 (sometimes called the “Cafe Apartments”) – an old apartment building that now contains trendy shops and eateries! If you’re facing the People’s Committee it’s on the right hand side, you can’t miss it. Bui Vien is the backpacker street of Saigon. It’s similar to Khao San Road, but not quite as crazy. Filled with bars playing dance music, small beer shops with plastic tables spilling into the street, restaurants, coffee shops, and boutiques – you can see why backpackers love it. Bui Vien is labeled as a “walking street” but that is most certainly not true. The sidewalks are filled with parked motorbikes and restaurant tables so you’ll be forced to walk in the street most of the time. And cars and motorbikes frequently drive on Bui Vien so they’ll be whizzing by you while you make your way down the crowded street. Start your evening at a bar with outdoor seating so you can watch the madness unfolding around you. And later you can wander into whatever bar seems the liveliest! No doubt you’ll be partying here until the wee hours of the morning. If you want to learn more about the history, culture, and tradition of Ho Chi Minh City, this museum is the perfect place to spend an afternoon. Not only is the building itself quite beautiful, but it also has a variety of interesting exhibitions housing archaeological artifacts, currencies, and old ceramic remnants. The museum extensively covers Vietnam’s fight for independence as well. 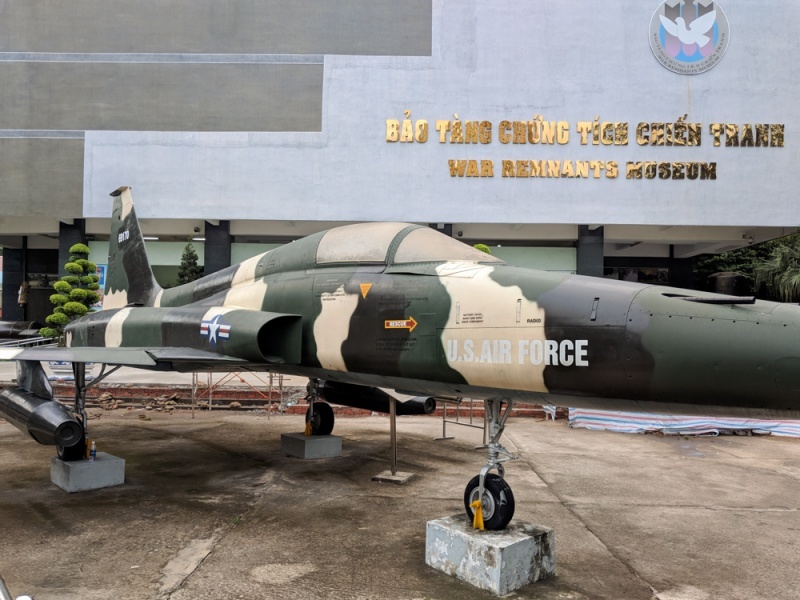 Outside you’ll find several war machines including the jet that was used by a South Vietnamese soldier to bomb the Reunification Palace. 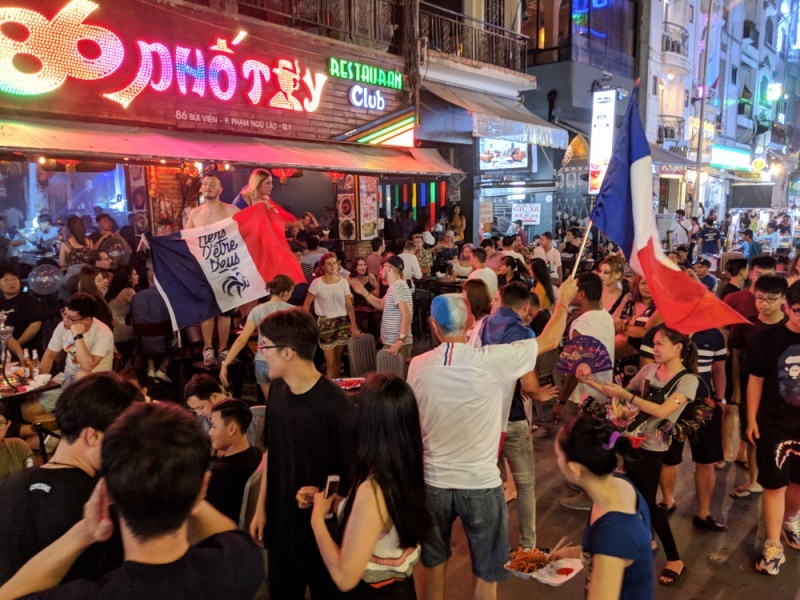 There are quite a few lively music venues in Ho Chi Minh City where up-and-coming locals sing American hits. 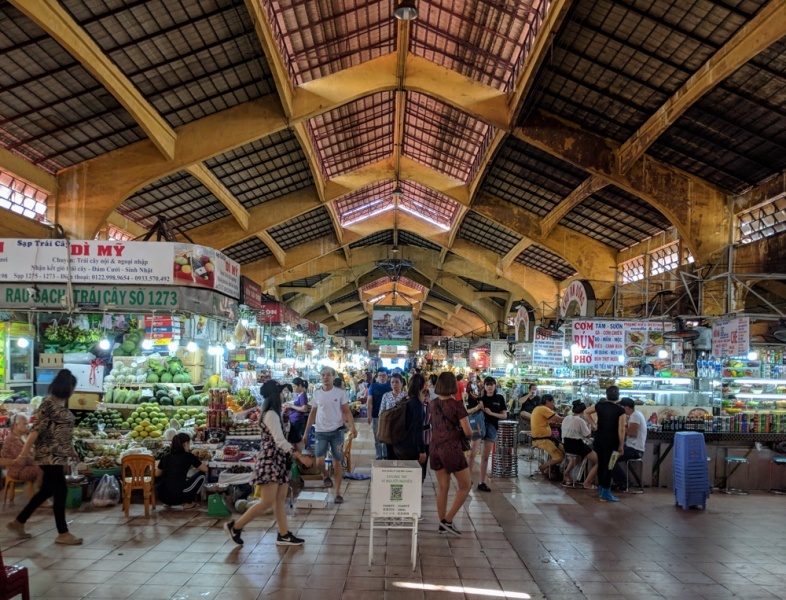 One of our favorites is at the Ben Thanh Street Food Market, directly across the street from the souvenir market that bears the same name. Every Tuesday and Saturday night from 7:30 – 9:30pm they have young artists performing your favorite hits. Plus they have a bunch of food and drink vendors for you to choose from! 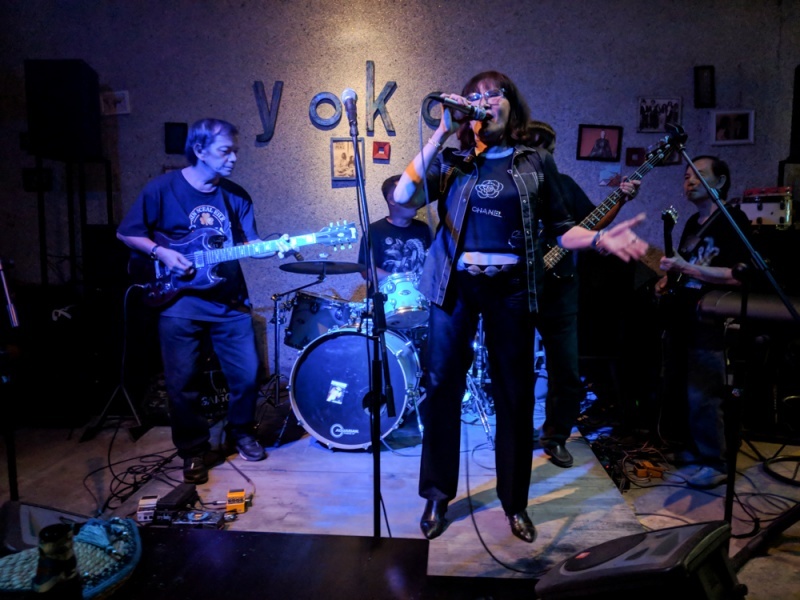 Yoko Cafe is another great music venue in town. They have a wide variety of acts from blues to pop to acoustic. The space is small so be sure to arrive early if you want a table. Check their Facebook page to see what shows are coming up. Regardless of the artist, you’re sure to have a great time! Chinatown is located in District 5 and is a great dining option if you are sick and tired of Vietnamese food. 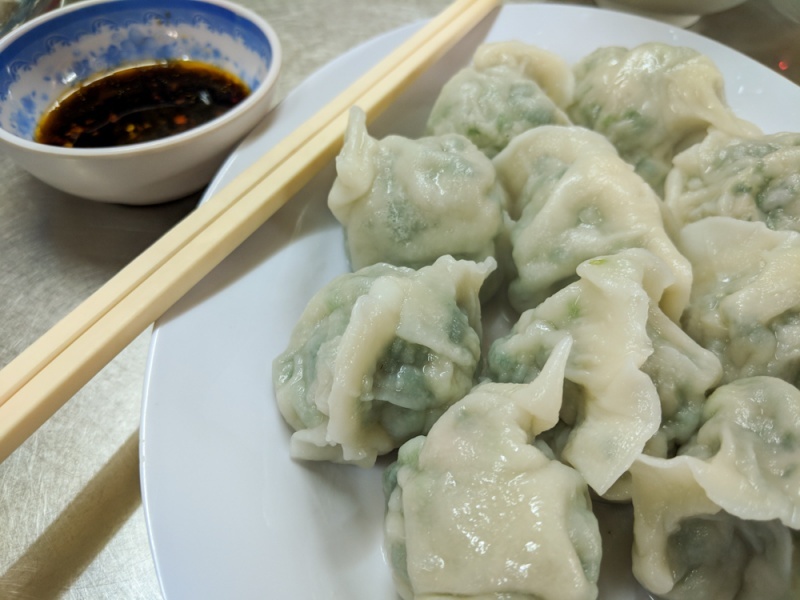 The dumplings here rival those that you’ll find at the best dim sum restaurants in Hong Kong, and for a fraction of the price! We loved Sủi Cảo Đại Nương (address: 125 Duong Chau Van Liem, Phuong 14, Quan 5) but ordering was a bit confusing. You can order your dumplings fried, steamed, or in soup (or order all three like we did). 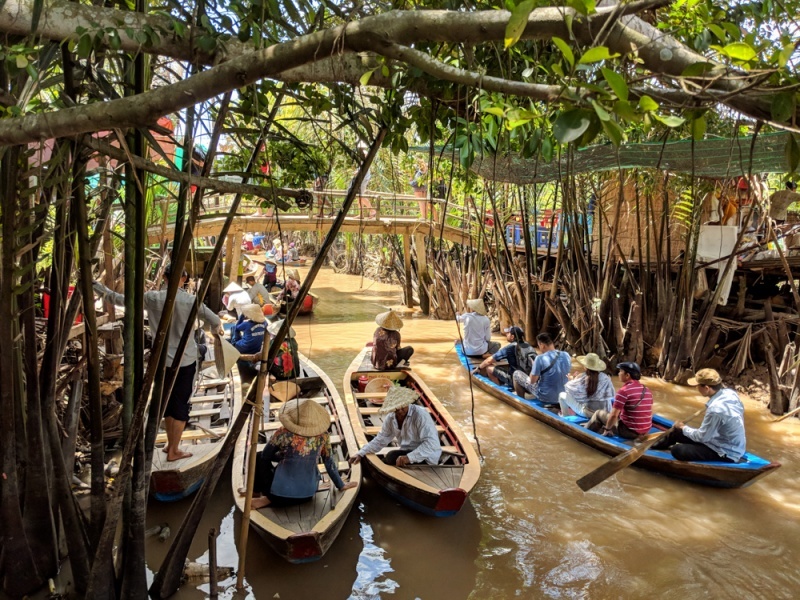 Visiting the Mekong River Delta is probably the most touristy thing you can do around Ho Chi Minh City, but worth it if you’d like to see a bit of the countryside. The shorter tour takes you to a small village where you’ll see a small honey factory and a candy shop. You’ll get to enjoy music by the locals and take a short boat ride on the Mekong. You’ll be encouraged to buy honey and candy and you’ll be asked for tips at the show and on your boat. It’s a bit off-putting but you can give a small amount or nothing at all if you prefer. The longer tour takes you to a floating market. Or you can do a multi-day tour. No matter what you choose, expect a bit of a show but know that your tourism dollars are helping these communities. The Cu Chi Tunnels are 75 miles of interconnecting tunnels that were used by the Vietnamese military during the Vietnamese War (or American War as they call it). They served as hiding spots and as routes for communication and supplies. Many soldiers even lived in these tunnels for periods although living conditions were bleak. Of course air and water were not readily available, but they also had to deal with the creatures living underground. Many soldiers became ill while living in the tunnels and malaria was not uncommon. Today, tourists are invited to crawl around in the safer parts of the tunnels to experience what life was like for the soldiers during the war. If you have breathing difficulty or experience claustrophobia, this tour probably isn’t for you. We hope you fall in love with HCMC just like we did! Want even more information on things to do in Vietnam? Check out our favorite travel guides!